We’re all proud to be part of IU and we want the world to know it. Some of us wear our pride on our sleeves. Some of us flash our class ring-bling. And some even pay homage to our alma mater with spirited plastic—the IU credit card. And of course, we can’t forget our cars. Lots of us sport IU license plates. But showing spirit doesn’t have to cost a lot of money. Give your social media outlets some IU flair with our free downloads. This is your home for countless expressions of IU pride—from tried and true to what’s new. 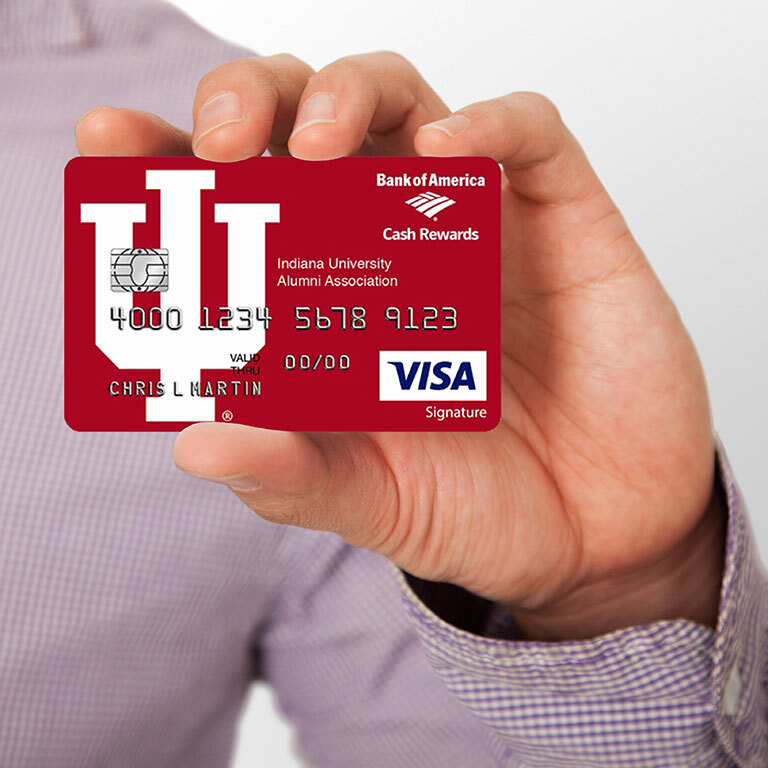 When we choose the IU credit card from Bank of America, we make a contribution to our alma mater every time we use it! You’ll also get great benefits for yourself. Earn 1% cash back on all of your purchases. Take advantage of Apple Pay® to make purchases on the run. And get free admission to museums across the country. We like to showcase our pride every time we hit the highway—especially since it helps fund scholarships for the next generation of IU students. More than 40,000 of us support the scholarship fund by using IU and IUPUI plates in Indiana, and thousands more have adopted them in New York and Tennessee. 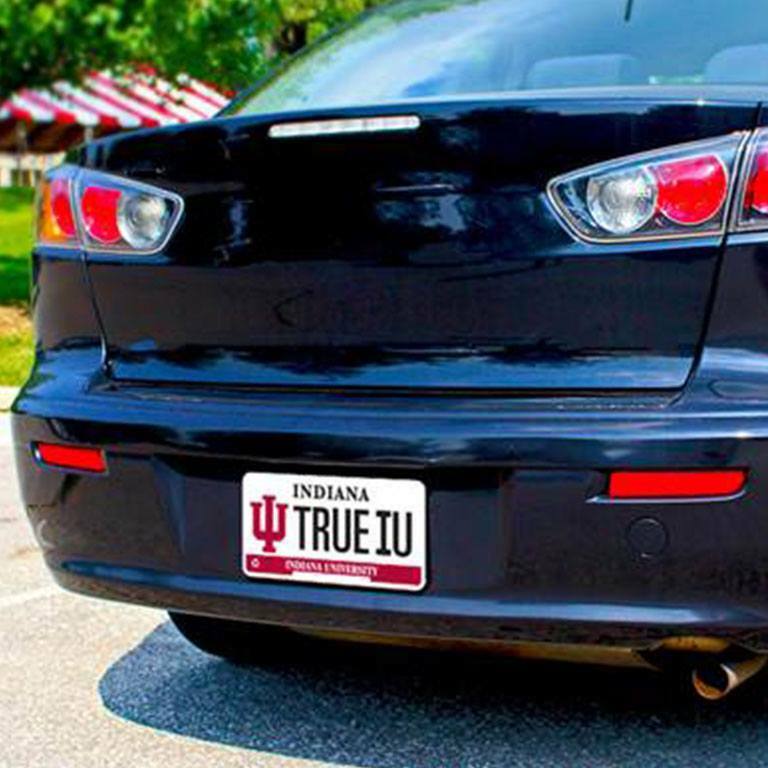 We are working to make IU plates available wherever there are IU alums. If plates aren’t available where you live, consider an IU Alumni license plate holder, and join the effort to get IU plates in your state. We all know cream and crimson is the best color combo around. And that it’s impossible to have too much of it. Luckily, the IU Official Store always has new things for us to buy. Check out their latest jackets, hats, T-shirts and polos, luggage and bags, gifts and housewares, and fan packs. 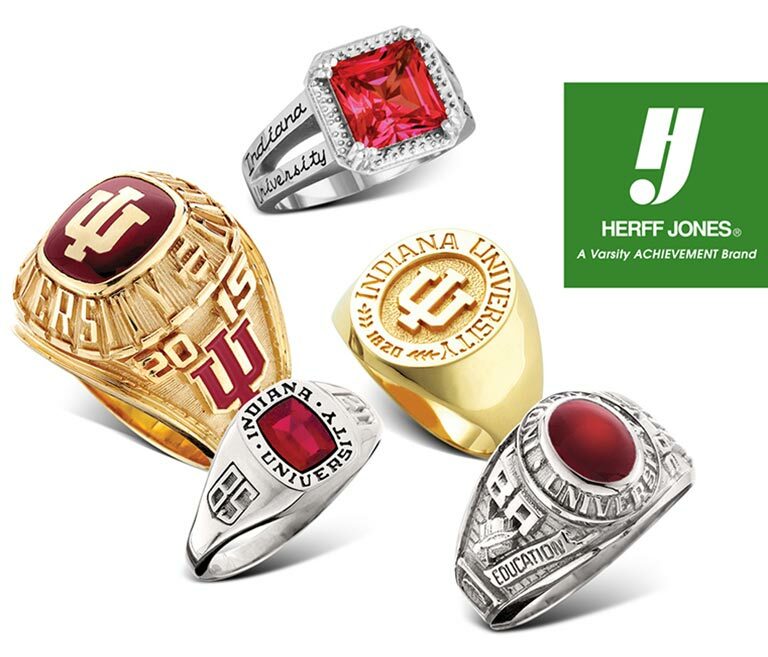 As IU alums, we have the distinct honor of wearing the official class ring—available only to students who have completed at least 56 credit hours at IU. It’s one of IU’s oldest traditions—and a beautiful way to show our pride. 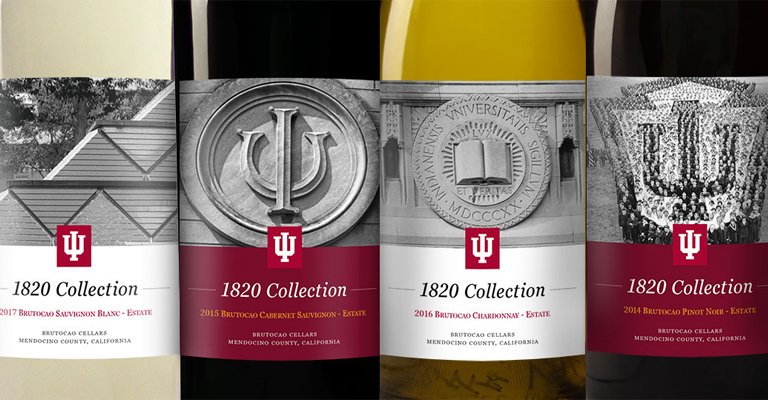 In honor of Indiana University’s Bicentennial, the IU Alumni Association is pleased to present the 1820 Collection, our first ever private label wine program. Hand selected by a panel of IU wine experts with IU alumni and friends specifically in mind, this exclusive collection consists of four wines from Brutocao Family Vineyards. To learn more about the 1820 Collection and to order an exclusive piece of IU history, visit IU1820Collection.com.